A growing challenge in communications today is the demand for executives to communicate virtually via conference call, webcast or by phone. Remote communication tools have replaced many in-person meetings. Virtual meetings save time and money and thus allow us to do more with reduced budgets and staff. That said the speaker must make-due without the visual cues that are so persuasive and influential on an audience. Their voice alone must carry the day. In our most recent Speaking for Impact seminar, the issue of “bad” conference calls was discussed. Stories of speakers that drone on; who fail to engage the participants; who sound distracted, bored or tired; who fail to have or follow an agenda. So, how does one “do” a good conference call? Prepare your remarks. While this sounds obvious, many people confessed to “winging it” on conference calls. What will you say? Where will you emphasize your point with vocal variety, varied pacing and pauses? Keep your audience in mind. Who will be on the call? What is it they are expecting from you? How much clarity can you bring to their need? What objections or resistance might they have to your message? What actions will you ask them to take? Where can you build in “interactivity” such as taking one topic and opening to questions and then dividing to the next topic and then offering Q & A on that topic. Prepare an agenda. (Again, an oft overlooked pre-meeting step.) Allow time for interactivity which will keep people engaged and focused and allow for their concerns and obstacles to be revealed. If there will be more than one speaker on the call, coordinate with them in advance. Decide who will cover which points. Before starting the call, pause for 30 seconds to think about each of the people who will be on the call. Picture them in your mind and imagine what they may be thinking about the call – are they excited? Dreading the call? Is their role core to the topic or are they a peripheral player who’s there to “be informed”? Are they at their desk? In a car? At the airport? At a client site? At home? Smile before you dial. Then smile frequently during the call. People can “hear” your smile. At the start of the call, acknowledge they may be still wrapping up what they were doing before the call and ask them to complete their wrap-up and give their undivided attention to the call. State the purpose of the call. Introduce yourself and any other speakers. Review the agenda and state the time the call with end. 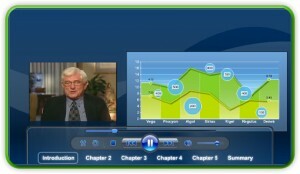 Before the end of the call, allow time for questions and to review the purpose of the call and summarize the content. With enthusiasm, state any “next steps” and repeat any calls-to-action. Thank everyone for their contributions and time. Try these tips before you next conference call and share the results by commenting on this post. 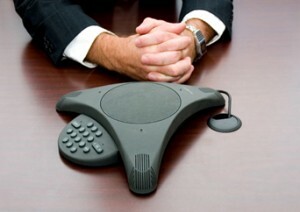 For tips on video calls, check out “Lookin’ Good on Video Conference Calls“. Remember, speaking for impact is not an accident. It’s a skill. Please share any tips you’ve developed for improving virtual communication effectiveness.